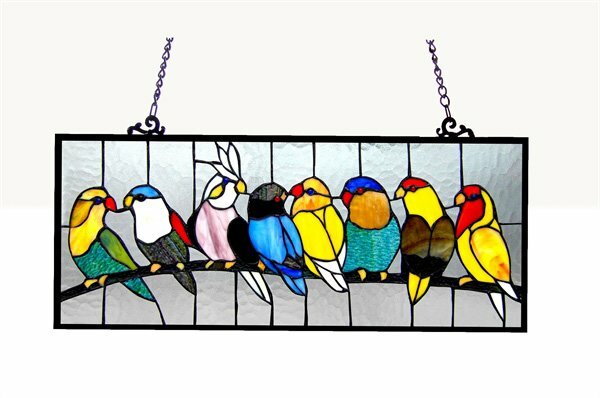 Hand crafted glass window panel featuring colorful birds lounging on a branch. 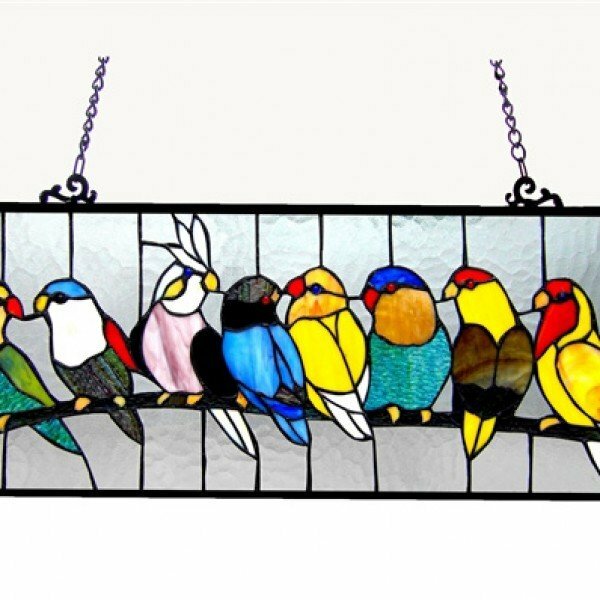 Each bird designed with intricate cut glass and touches of color. 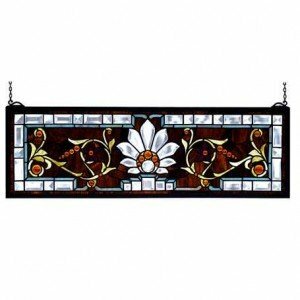 This glass piece is adorned with a metal frame coated in a vintage patina with designed anchors. 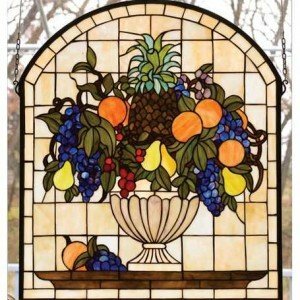 Wonderful addition to any window. 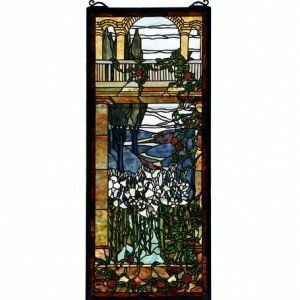 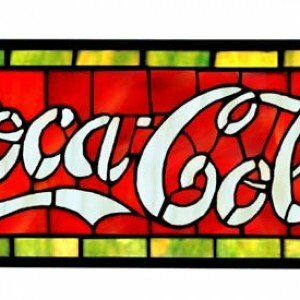 This panel is handcrafted using LC Tiffany’s time-honored copperfoil construction technique.